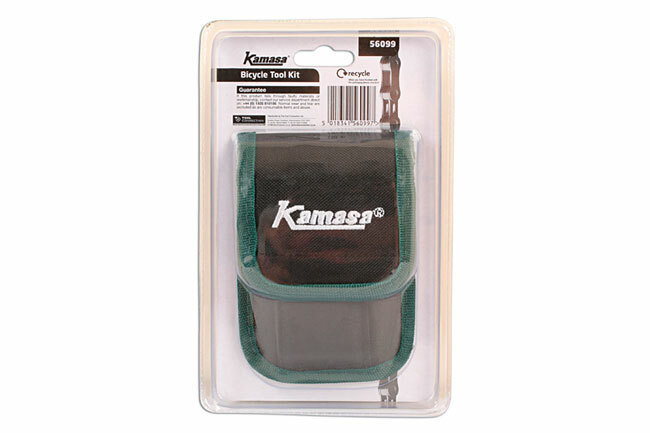 How do Kamasa back so many useful bicycle tools into such a little pouch? 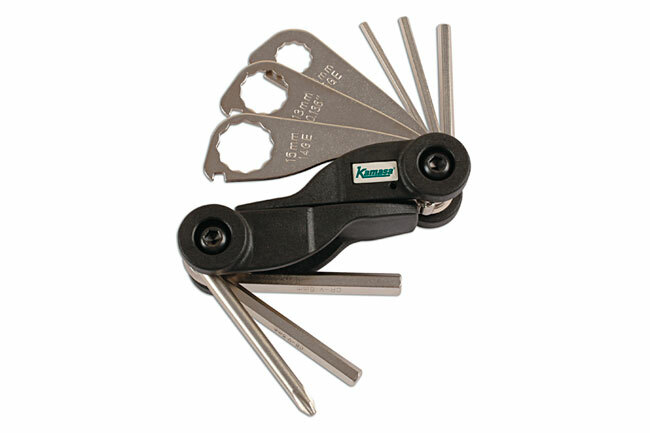 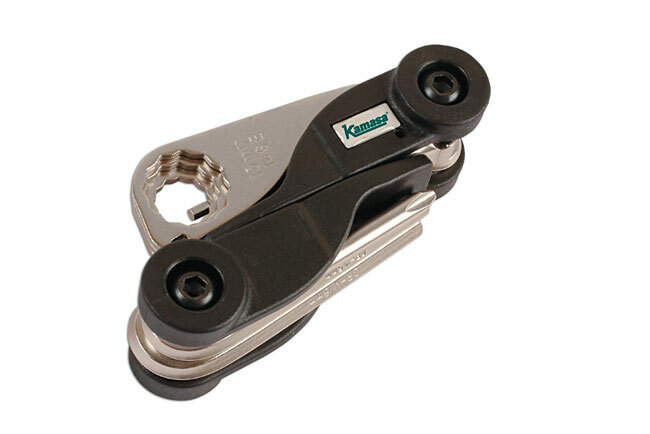 This new bicycle tool kit from Kamasa (part no 56099), is particularly handy and its light weight and compact design makes it ideal for stowing in the wedge or saddle bag. 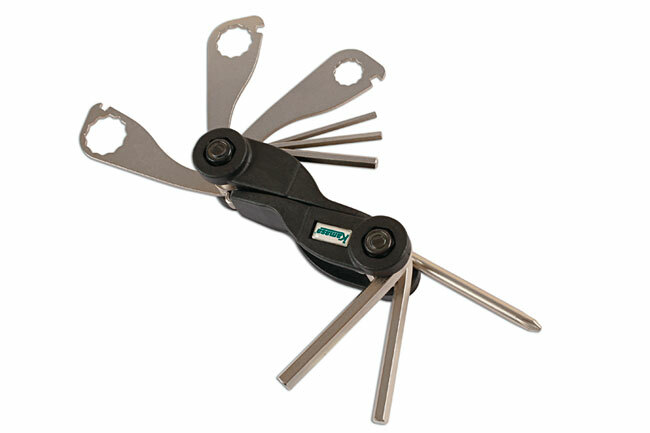 The tools include three spanners (10mm, 13mm & 15mm), three spoke wrenches, five hex keys (2.5mm, 3mm, 4mm, 5mm and 6mm), and a Phillips Ph2 screwdriver. 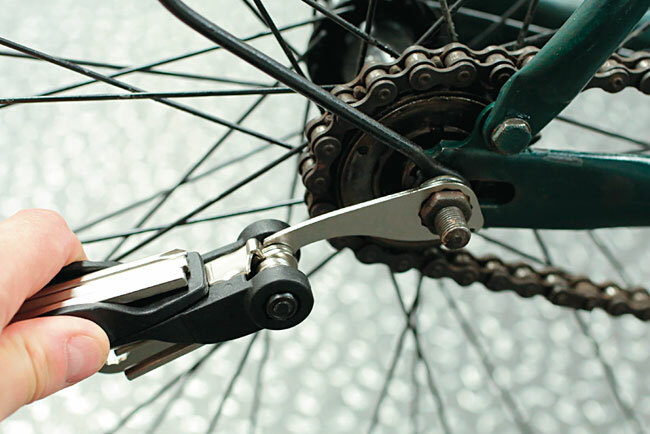 If you are unlucky enough to suffer a puncture, help is at hand with the two tyre levers, 12 rubber patches and a metal tube buffer. 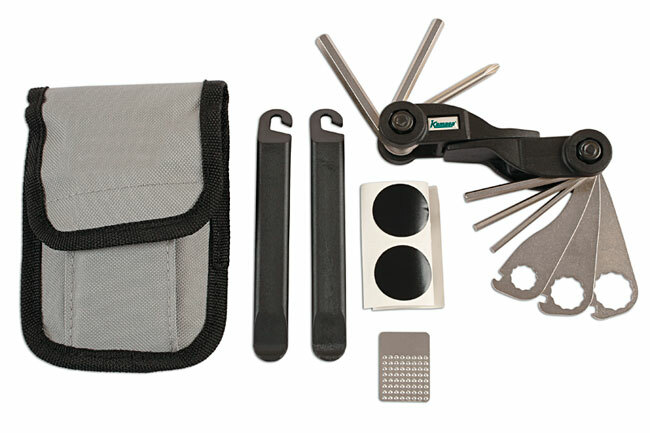 All packed into a high quality fabric storage pouch. 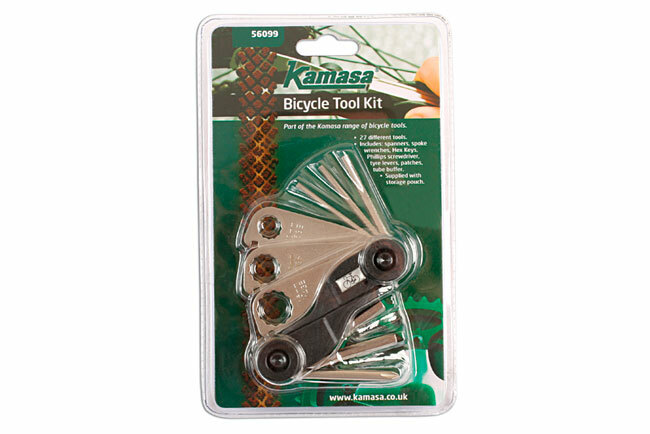 A very comprehensive bicycle tool kit, the usual exceptional Kamasa value and available now for a typical price of just £14.64, including VAT, but check your local Kamasa stockist for the best prices and special offers.